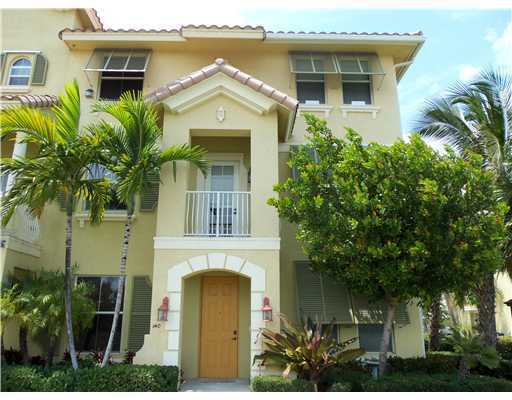 1410 Piazza Delle Pallottole, Boynton Beach, FL 33426 Sold By Top Agents of Renaissance Commons. The Treu Group found the buyer for this 3 bedroom townhouse and sold it close to the original asking price! The owners had an amazing opportunity so they contacted and asked us to sell the property. The Treu Group closed the deal for this home and got over 91% of the sellers asking price. We handled everything professionally and with expertise to get this home up to the closing table. The buyers found there own retreat in this townhouse with a waterfront view and fabulous upgrades! Renaissance Commons is a quiet and peaceful community, perfect when you feel like getting away from stress. We are always dedicated to help our clients in every step they make in home selling. Just like the owner of this beautiful townhouse, we can also help you achieve your selling goals.